Ken Hedberg performing in “The Road to Stockholm: The Appalling Life of Linus Pauling,” December 1954. Hedberg and other Caltech colleagues sang and danced on stage to celebrate Pauling’s receipt of the Nobel Chemistry Prize. Though he left Caltech at the end of 1955, Ken Hedberg maintained a friendship with Linus Pauling that lasted for the rest of Pauling’s life. Despite their physical distance, the two kept an active correspondence and Pauling sometimes sent samples from his own research for Hedberg to run through his electron diffraction apparatus in Corvallis. Pauling also wrote multiple letters of recommendation in support of various fellowship applications submitted by his former student, frequently noting the many important contributions that Hedberg had made to the field of electron diffraction. James Jensen, President of Oregon State University from 1961-1969. Hedberg’s friendship with Pauling turned out to be especially fruitful for Oregon State University, because it was partially through his persistent efforts that the Ava Helen and Linus Pauling Papers made their way to OSU. The story begins in the early 1960s, when Hedberg was chatting with Ava Helen Pauling at a banquet where they happened to be seated next to each other. During the course of the conversation, Ava Helen revealed that she and her husband had been pondering the question of what to do with their papers when they died, noting that they had received expressions of interest from several universities and other institutions. Although OSU was not among those courting the Paulings, Ava Helen felt that their alma mater was the right home for the materials and had run this idea past her husband. Though Linus had been embroiled in a rift with the university for most of the 1950s (over the firing of his former student, Ralph Spitzer, on political grounds), Ava Helen was now trying to convince him to “let bygones be bygones” and renew his bond with Oregon State. Ava Helen also confided that Pauling was not happy with offers that he had received from the Smithsonian, the Library of Congress, Caltech, and many other highly-respected institutions, because they only wanted his papers and not hers, wanted to cherry pick the items that they would keep (Pauling wanted everything kept together), or wanted the papers right away, despite Pauling’s need to retain many of them for his ongoing research. When it comes time to think of a repository for your letters and other documentary matters, I hope you will consider the possibilities of Oregon State University and its repository of important papers which is located within a stone’s throw of where you and Mrs. Pauling met! Jensen also created a Distinguished Service Award in 1964 and made Pauling the first recipient. Finally, in 1966, the president extended an invitation to Pauling to speak at the university, which was accepted. In December of that year, he delivered a well-attended convocation lecture titled “Science and the Future of Man” at Gill Coliseum. It was the first talk that he had given on the Oregon State campus since a 1937 lecture on hemoglobin and magnetism, which he had presented at the dedication ceremonies for the Oregon State chapter of the Sigma Xi scientific research honorary. With the ice finally broken, Pauling began returning to the university more frequently, eventually regaining his old affection for OSU and choosing to make trips to Corvallis whenever he was passing through the area. Pauling also admitted that he was “pleased” by OSU’s request for his papers, telling Jensen that in addition to OSU, he had offers in hand from the Library of Congress, the American Philosophical Society, and the University of Oregon, among others. As he continued to ponder the final home for his materials, he asked that Jensen have the university archivist send him a letter describing OSU’s archival facilities and the plans that it would put in place for the preservation and use of the papers. In March 1967 Jensen again wrote to Pauling, this time including a draft donation agreement as well as the requested comments on facilities from the university archivist. By July, Pauling had largely been won over and claimed that he felt ready to begin giving his papers to the university. That said, he was as busy as ever and seemed reluctant to actually part with any of his material. His continuing research and trips to Europe, combined with disruptive California wildfires, meant that he never had time for OSU’s archivist to visit him to evaluate and organize the collection. For whatever reason, Pauling continued the stall tactics for the remainder of Jensen’s tenure as president. In 1972, Hedberg wrote to Jensen’s successor, Robert MacVicar, to loop him in on the conversation. In addition to forwarding copies of past communications between himself, Jensen, and Pauling, Hedberg expressed his point of view that Jensen’s negotiations seemed to have been successful, but hastened to add that a final agreement was never reached. Jensen, sensing Pauling’s hesitation, had eventually stopped asking about the papers for fear of endangering the relationship that he had successfully rehabilitated. Hedberg encouraged MacVicar to pick up where Jensen had left off in trying to obtain the papers. MacVicar took the suggestion to heart and contacted Pauling, but kept Hedberg in the loop since he knew Pauling so well. Over time, Hedberg was able to mediate communications somewhat, often advising MacVicar on how he thought Pauling might interpret different phrases of a draft letter and predicting how he would respond. Pauling still felt that he was not ready to part with the papers, so MacVicar followed Jensen’s precedent and focused on maintaining a good relationship with Pauling with the occasional gentle reminder about his promise to give his papers to OSU. Activist Norman Cousins, Portland mayor Bud Clark, Linus Pauling and OSU President John Byrne at a celebration marking Pauling’s donation of his papers to Oregon State University. Ava Helen passed away in 1981 and the next year Hedberg helped to found the Ava Helen Pauling Lectureship on World Peace at OSU. Meanwhile, in 1984 John Byrne replaced MacVicar as OSU president and, once again, Hedberg forwarded copies of past correspondence and encouraged the new president to continue the effort. Byrne saw that, while his predecessors had succeeded in winning Pauling over, their gentle reminders had done little to motivate Pauling to actually make the donation. Byrne decided to change tactics by setting up a committee to handle the negotiations, from which emerged a concrete offer to build a Special Collections unit that would house and manage the donated materials. Byrne also agreed to all of Pauling’s requests regarding the treatment of the collection: namely, that Ava Helen’s papers be included in the acquisition, that the collection be kept intact, that the collection be made available for use by any qualified researcher, and that Pauling himself also receive unfettered access should he need to consult any of his old letters or manuscripts. Among these requests, the Ava Helen piece was likely the most significant; with her passing, it became particularly important to Pauling that her papers be treated with the same deference as his own. Hedberg and Pauling among others at an event celebrating the donation of the Pauling Papers to Oregon State University, April 1986. At long last, on April 18, 1986, Pauling formally announced that he would be transferring his papers to the Oregon State University Libraries. The first item that Pauling sent to OSU was the three volume United Nations Bomb Test Petition, an encapsulation of the work for which he received the Nobel Peace Prize in 1963. Other materials were added gradually over the rest of his life, once he had decided that he did not need them for his current research activities. Eventually the university sent a representative to Deer Flat Ranch to see how big the Pauling collection was, and they found that he had over 90 filing cabinets full of materials just at his Big Sur home. As Pauling made more frequent trips to Corvallis, Hedberg was usually assigned to act as his guide and chaperone. On one reminiscent wander around campus, Pauling pointed out to him the room in present-day Furman Hall where he first met Ava Helen. He also showed Hedberg the house on 15th street where he had lived as a student. Frequently, the Hedbergs and the Paulings were participants in the same dinner parties, some of which were hosted by Ken and Lise. Pauling was fond of vodka and often favored a drink prior to attending a formal event; Ken always made sure that Pauling’s preferred brand was in the cabinet. Another time, at a dinner party hosted by the Hedbergs, Pauling recognized the wine that they served as being of the same vintage as that served at a similar party the previous year. Hedberg was shocked that, of all the dinner parties and events that Pauling attended, he would remember the wine that had been served at a particular gathering a year prior. Ken Hedberg, David Shoemaker and Lise Hedberg at a dinner party hosted by OSU President John Byrne, 1991. Linus Pauling was seated across the table from Ken Hedberg. Though they saw one another with some frequency, Pauling and Hedberg continued to make time to provide updates on their lives through correspondence. Pauling wrote to Hedberg about his own rectal cancer, and Hedberg asked Pauling for advice concerning a friend’s inoperable cancer and for managing Lise’s arthritis. Ken also shared the unhappy news when their mutual colleague, David Shoemaker, died of complications related to kidney disease. Ken likewise expressed his frustrations to Pauling when the National Science Foundation reduced his grant funding in 1992 due to concerns about his age. Hedberg retired from OSU in 1987, a moment that prompted a letter of congratulations from his friend and former mentor. In it, Pauling confessed that “I remember you, Ken, as one of my favorite graduate students in the California Institute of Technology.” Once his retirement festivities were completed, Hedberg penned a note of gratitude in response. I think this is also the time for me to tell you how much I have appreciated your help and support during my professional career. You’ve written many recommendations on my behalf without which my life would have been totally different. It would have been nearly impossible to build my laboratory without help from the Research Corp., the Sloan Foundation, and others, to which you sent words on my behalf. Perhaps you are even responsible for Lise’s entering my life – without my Guggenheim to Norway we would never have met! And lastly, you are surely responsible for my accepting a position here at Oregon State. You encouraged me to accept the job, and apart from problems at the start, Lise and I have been very happy here. Trouble at Freeman and Co.
A W.H. Freeman catalog from 1986 noting the firm’s long association with Scientific American magazine. After more than a decade of success in the publishing world, W. H. Freeman and Co. hit a roadblock. The difficulties began with a personal matter that arose in the summer of 1959, when Bill Freeman separated from his wife, the former Verne Kopplin. When divorce papers were ultimately filed the following year, Freeman offered his wife an even division of all their assets, with the notable exception of his stake in the company. Collectively, the couple owned 43% of the firm and Verne insisted that she retain her share. In her communications with Freeman, Verne pointed out they had married in 1946, the same year that the company was founded, and that they had worked together to grow the company to its current stature. As such, she was entitled to a degree of control over its future direction. 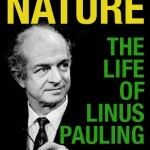 From the outside looking in, Linus Pauling maintained a different point of view. In a letter to Freeman, Pauling expressed his feeling that, although Verne – a prominent Bay Area attorney – had previously provided legal services to Freeman & Co., she had, in his opinion, done little to support the company beyond her contributions as a consultant. The possibility that Verne might retain a claim to the company was one that weighed heavily on Freeman. In a letter to Pauling he revealed that “I find it quite impossible to carry on my work while sharing with her anything of my future.” He also expressed concern that he might lose control of the company were Verne to retain her shares. Freeman knew that he would not be able to influence Verne’s decisions concerning the direction of the company. He also feared that she was planning to consolidate the stocks held by colleagues and friends to essentially buy the company out from under him. I believe that W.H. Freeman and Company, as built up by you, has become the outstanding publisher of college textbooks of the highest quality in the United States…I was so greatly impressed by your ability that I felt that the advantage of having my book [General Chemistry] put out by your firm, because of your extraordinary ability and originality and convictions about the importance of publication of books of high quality, would outweigh the disadvantage of lack of an organization and reputation of long standing. He concluded that he wouldn’t feel comfortable continuing his association with the company in the event that Verne succeeded in reducing Freeman’s control over it. So strong was Pauling’s conviction that he expressed a willingness to dramatically increase his skin in the game. Cognizant of the financial burden that the divorce and its aftermath had placed on Freeman, and hoping to ease this burden, Pauling offered to buy Freeman’s stock, which would provide Freeman with the capital to purchase Verne’s shares should he wish. Freeman agreed to the proposition but only on condition that he be given the option to buy his stock back within three years. Pauling was not comfortable with this arrangement and the two failed to arrive at a solution that would satisfy them both. Old man Freeman feels like the tempest in a terribly small teapot; no one ever gives any thought to the tempest’s feelings or understands how constrained he feels. In need of an escape, Freeman took the summer off to travel around Europe. He made it as far as Greece and self-published a book describing his experiences, titled Ola Kala: The Greek Word for It. An excerpt from Stanley Schaefer’s letter to shareholders written during trying times for the company that he now led. October 1, 1962. Meanwhile, tensions mounted at W.H. Freeman & Co. as their eponymous leader became increasingly unstable. A growing sentiment among many stockholders was that Freeman would do anything to keep control. As this idea continued to grain traction, executive vice president Stanley Schaefer became nervous about the future of the company and sent out a request to many of the stockholders that they become proxies, thereby granting them the authority to make decisions about the firm. Finally, in January 1962, Bill Freeman agreed to sell his stock, though he was resistant to sell within the company because of his objections to the firm’s recent association with Scientific American. It is likely that the arrangement with Scientific American was entered into to provide a measure of protection for the company amidst the financial damage caused by Freeman’s divorce. In his correspondence with Pauling – one of the few people at W.H. Freeman & Co. that he still trusted – Freeman railed against the decision and expressed sharp criticisms of Stanley Schaefer and Bill Kaufman as well as other long-timers like Harvey McCaleb and Adam Kudlacik. Pauling balked at these denunciations, pointing out that Freeman had hand-picked these men and needed to trust in their judgment, as Pauling did. After a different and particularly troubling discussion with Freeman, who sometimes met the Paulings for dinner, Linus reflected on the current state of the company, noting that “Bill and Verne damaged it, neglected it, and [devoted] their energy to fighting each other.” Though he was sympathetic to Freeman’s situation and deeply concerned about his friend, Pauling believed that there was no justification for the damage that Freeman was causing to the company. Stanley Schaefer also wanted to help and offered to buy Freeman’s stock. When Freeman declined, Schaefer suggested that Scientific American could purchase the shares. Freeman felt that this was not a realistic solution either. He did, however, agree to not sell his stock to a competing company. When Freeman subsequently took a job at Addison-Wesley’s western office, signing a contract that would allow the company to purchase his Freeman & Co. shares, he effectively broke this promise. When Pauling asked Freeman why he had done this, Freeman confessed that he was too dissatisfied with the present management at Freeman & Co. to consider associating with it anymore. Scientific American stepped in at this point and made an offer for Freeman’s stock that Addison-Wesley could not match. Ava Helen Pauling, who remained a confidant for Freeman, advised him to sell his stock to the magazine publisher. Doing so, she reasoned, could secure a stable future for his children while also providing an avenue for Freeman to leave his old company gracefully. Freeman reluctantly agreed and Gerald Piel, the president of Scientific American, put the money from this transaction into a trust fund. Trustees “in whose rationality and integrity” the company had confidence would vote at a later date on the matter of what to do with the proceeds. Meanwhile, once Freeman had become associated with Freeman & Co. in name only, Verne also lost interest and refocused her energies on her legal career. She eventually remarried and went on to challenge discriminatory policies at law firms in Connecticut, where she practiced law for several years. For old times’ sake, I will say to you that I had no alternatives – financial ones possibly, but professional or personal ones, absolutely none…As I’ve said to Linus, until the future speaks, I trust that we can each of us respect the other’s right to act in accordance with his convictions. For internationally renowned scientist and activist Linus Pauling, the early 1960s represented a time of feverish peace work that matched the dangers and necessities of an ever-escalating international crisis. One of the most interesting (and complicated) examples of his correspondence to world leaders during this time was to President John F. Kennedy. Most of Pauling’s communications with JFK happened during his tenure as President of the United States between 1961-63. (Pauling, meanwhile, was awarded the Nobel Peace prize in 1963.) The topics of their letters varied widely between nuclear disarmament, nuclear test bans, international peace treaties, and even the Cuban Missile Crisis itself. Though Pauling’s letters frequently asserted an authoritative tone, the two did not always maintain the level of peership this might imply; many of Pauling’s letters went unanswered, and those that did get replies were sometimes written by others on Kennedy’s behalf. Pauling was often vehemently critical of President Kennedy’s policies and public relations efforts regarding the cold war and nuclear disarmament, attacking his moral character for failing to take strong enough action to de-escalate rising nuclear tension. It’s also worth noting that Ava Helen Pauling played a similar role in advocacy to the Kennedys; she wrote Mrs. Kennedy with a similar message about the threat of nuclear weapons, albeit focusing specifically on the impact this might have on her own children. The Paulings’ two-pronged approach is emblematic of their larger team effort. The tone of that letter is hard to interpret due to its pithiness, but the typically stoic manner in which Pauling writes reveals here a brief moment of vulnerability. For all his “urgings” and his attacks on Kennedy’s moral character, Pauling clearly also had a certain amount of faith in Kennedy’s ability to listen to reason, make compassionate decisions, and lead the nation through moments of immense political pressure. Not only that, but as someone familiar with death threats due to activism, it’s hard to imagine Linus Pauling seeing November 22nd as anything other than a sobering and uncertain experience. The long and difficult relationship between them was snuffed out, but the legacy of the work, unfortunately, needed more than ever to be continued. Asima Chatterjee’s one and only meeting with Linus and Ava Helen Pauling took place during the Paulings’ tour of India, which spanned the months of January and February 1967. During the final leg of this trip, for a mere sixteen hours, the Paulings landed in Kolkata, toured the University, saw Chatterjee’s labs, and met her students. From there the Paulings departed India en route to Honolulu, where they planned to spend a few days visiting with their son, Linus Jr. Before leaving however, the Paulings gave a sum of money to Chatterjee that they later requested she spend on a wedding gift from them for her daughter. Though a small token, this gift was surely an indication of the esteem that the Paulings felt for their friend and fellow scientist. While 1967 began on a high note for Chatterjee, the year ultimately proved to be profoundly difficult. In the months following the Paulings’ departure, Chatterjee lost both her husband and her father. Congruent with these personal tragedies, the political environment in Chatterjee’s home region of West Bengal, and particularly in Kolkata, began to deteriorate as a radical communist group, the Naxalites, began to gain influence in the area. Though first and foremost a scientist, Asima Chatterjee’s concerns for her home country’s well-being echoed similar frustrations being felt by her stateside correspondents. While the Paulings were focused primarily on global problems of the nuclear age, in India the worries were more acute. In particular, the need to navigate and correct a wide array of political, social and economic dysfunctions left behind by the colonial era proved to be a momentous and primary challenge. The strains of adjusting to a new era of independence that were felt nation-wide also impacted Chatterjee in a multitude of ways. Professionally, many students at her university abandoned their studies to join the Naxalites in protest. As these demonstrations grew in intensity, splinter groups resorted to attacks on Kolkata’s infrastructure that resulted in damage to the city’s power grid. Replying a few weeks later – during the final months of a genocidal campaign that resulted in the deaths of between 300,000 and 3 million people in present-day Bangladesh – Chatterjee expressed growing dismay about the state of affairs on the subcontinent. Air raid sirens and black outs are frequent occurrences in the city. The number of refugees in India is beyond imagination… It is not possible for India to look after those millions of refugees permanently. Though she could not have known the final tally at that time, statistics now show that some 10 million refugees fled Bangladesh for India in 1971. Asima Chatterjee (at center in white sari) with some of her students, 1997. Credit: Indian Academy of Science. And yet, in spite of it all, Chatterjee remained very productive. By 1961 she had published 105 peer-reviewed papers and, in 1972, she was selected to be the honorary Programme Coordinator at the Centre for Advanced Studies in Chemistry of Natural Products. Three years later, she became the first woman to be elected as General President of the Indian Science Congress Association. In 1982, after retiring from her duties as a professor, Chatterjee received a very different kind of honor when she was selected to a seat in the Raiya Sabha. A component of India’s parliament, the Raiya Sabha consists of twelve nationals who, in the estimation of the President, have made a profound impact on their fields. Chatterjee served in this is position until 1990. She died sixteen years later, on November 22, 2006, and is survived by her daughter Julie Banerji, a professor in the Department of Chemistry at the University of Calcutta. The global friendship shared by Linus Pauling, Ava Helen Pauling and Asima Chatterjee was certainly unorthodox — in person, the relationship consisted entirely of a single, half-day meeting. Through the power of the pen however, the Paulings and Chatterjee cemented and grew their fondness for one another, regularly exchanging holiday greetings and carrying out various professional favors. Today, their bond stands as evidence in support of the imperative that knowledge flow freely across social and geographic boundaries. Their story also serves as an example of the ways in which science and concerns for humanity are so often intertwined. Posing with a model near the end of his time at Caltech, 1963. Harvesting abalone at Deer Flat Ranch, 1963. Elsewhere on the grounds at Deer Flat Ranch, 1964. Photo Credit: Arthur Herzog. Sitting for sculptor Zena Posever at Deer Flat Ranch, 1966. Note that Pauling was suffering from a broken leg at the time. On Thanksgiving Day, 1968 with Linda Pauling Kamb and her boys. This image was taken in La Jolla, California, where Linus and Ava Helen maintained a residence for a handful of years. Photo Credit: Barclay Kamb. Posing in San Francisco, 1969. Photo Credit: Margo Moore. The Paulings with Norma Lundholm Djerassi in 1970. Pauling came to favor this tan fishing hat for informal occasions. The Paulings at the Soviet Embassy in Washington, D.C. for the Lenin Peace Prize ceremony, 1970. In this photo they pose with Russian geoscientist Boris Davydov. On the deck at Deer Flat Ranch, 1971. At far left is Frances Fritchman. Pauling posing next to a poster featuring a detailed cross-section of the human epidermis. Stanford University, 1971. A striking portrait taken at the University of Missouri, 1972. Matching (!) in Dallas, Texas, 1972. Pauling with his sister Pauline on the day of her wedding to Charles Dunbar, 1973. This photo marks an early appearance of a red jacket that Pauling came to wear with some frequency. With Nahid Hakimelahi in Persepolis, Iran, 1975. With “Z. Hecher” in Menlo Park, California, perhaps on the grounds of the Linus Pauling Institute of Science and Medicine, 1977. With Ivan Zupec in Belmont, California, 1977. Linus and Ava Helen in their living room at Deer Flat Ranch, 1977. The red jacket makes another appearance. This is one in a series of photos taken to promote the NOVA documentary, “Linus Pauling: Crusading Scientist,” in 1977. Pauling in his office at LPISM with a visitor identified only as “Kazuo,” 1978. Posing in Pasadena on a beautiful autumn day, 1979. Baby Peter Pauling with his parents and brother Linus Jr. The family poses here in front of the Pauling home on Arden Road, Pasadena, 1931. The Paulings pose with an unidentified family. This photo marks an early appearance of Pauling’s beard. 1933. A relaxing moment with Linda, who is two years old in this photo. 1934. In lecture at Caltech, 1935. The beard returns, this time at Painted Canyon, California, a common getaway location for the Pauling family during the 1930s. Photo taken in 1935. A more formal portrait of Pauling with his beard, 1935. Dressed for cold weather at Niagara Falls. Of this moment, Ava Helen wrote: “It was so cold we wrapped scarfs around our heads and then put our hats on over the scarf.” The Paulings pose with their friend Yvonne Handy. Photo taken in 1938. Ava Helen and Linus photographed during a trip to Madison, Wisconsin, July 1939. Picnicking at Corona del Mar, California, 1940. In the laboratory with rabbits, 1942. Lecturing on structural chemistry at the Richards Medal ceremony. Pauling received this award from the Northeastern Section of the American Chemical Society in 1947. On holiday with the family of Carl Nieman, 1948. Posing with a new friend, 1948. And posing once more (and proudly) with the family car, 1948. In England with Lord and Lady Leverhulme, 1948. Pauling spent much of this year as a visiting professor at Oxford. Another photo from the Hawaii trip, 1948. An early image of Pauling wearing what would become an iconic accessory for him – a black beret. Photo taken in 1953. Posing in front of the Fairpoint Street home, Pasadena, 1954. A publicity still of Pauling with a model of the alpha helix, 1954. In white tie and tux at the 1954 Nobel ceremonies. With Ava Helen at the old cabin, Deer Flat Ranch, 1957. Photo Credit: Arthur Dubinsky. Visiting Albert Schweitzer’s compound in Lambaréné, Gabon, 1959.